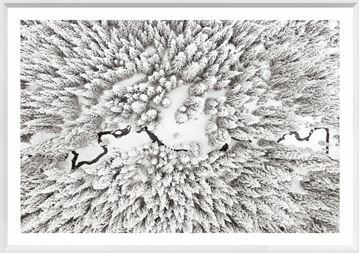 Aerial black and white photograph of the deep north. A beautifully simple aerial photograph. 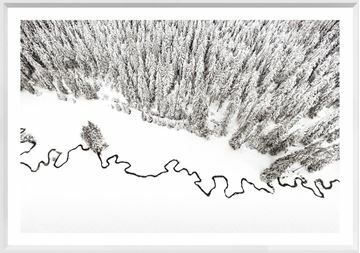 The strong undulating line of a stream is contrasted against open, snow-covered space and the texture of tall spruce trees. Cleanly framed in an angled white profile. One of two images available.